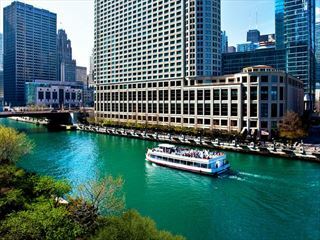 Stylish, relaxed and in the heart of Chicago, this is the perfect option for a stay in the Windy City. Make the most of the prime location, unwind in the spacious rooms and admire the views of the city and river from your room. Welcome to the Inn of Chicago Magnificent Mile, located just half a block east of Chicago’s Magnificent Mile, close to nightlife, art museums, galleries and fine shopping. This friendly hotel provides a great base to explore the city.